Richard Fried spent 2011 doing a New York State Big Year and managed to top the record of 350 species which was only set in 2008 by Scott Whittle. 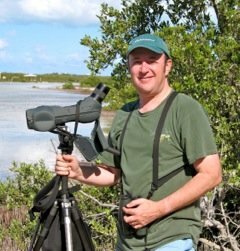 Richard totaled 352 species, an impressive number, by seeing almost all of the regularly occurring New York birds and the vast majority of the rarities that showed up in 2011. He kindly agreed to answer ten questions via email about this big year and this post is the result. Enjoy! How did you decide to do a New York State Big Year? I didn’t decide to do a Big Year ahead of time. In 2010 I saw 269 species in New York without really working at it until near the end of the year, so I thought with a little more effort I might get to 300 species in 2011. I really wasn’t thinking about a Big Year, and I certainly wasn’t thinking about the record, which seemed like a nearly impossible goal, particularly for someone with a full time job and a wife and children. However I found counting to be a great motivator to get out in the field as much as possible and to learn as much as I could as fast as I could, and it was just plain fun. I also know that birds are in decline, with many seriously threatened species, lending some urgency to my desire to see them before they disappear. At any rate I got off to a better than expected start to the year, and by early summer I realized that I would reach 300 much sooner than I anticipated. As it turned out, the Gray-hooded Gull in Coney Island on July 30th was number 300, which left 5 months to see how far I could get. That’s when I started thinking in terms of a big year. How did you prepare for your Big Year? I started birding relatively recently, but once I started I quickly became hooked – some would say obsessed. I started birding as often as I could, at first on guided walks and birding trips in addition to birding with my daughter Lila and her boyfriend Jacob Drucker, my first mentor. In the three years before my big year I birded in eight states, Puerto Rico, Canada, England and Japan. I read as much as I could, accumulating a fairly large library of field guides and ornithology texts, listened to recorded songs, and participated in a number of workshops in Cape May. As my skills improved I started birding more on my own, but I found that it was usually more fun, not to mention productive, to bird with other people. I always tried to bird with better birders than myself (an awful lot of people in that category, then and now) and to learn as much as I could from them. I also started monitoring the various regional listserves in the state, and exploring eBird, which helped give me an idea of what could be found where and when. What was your goal in doing a Big Year? Basically to see as much as I could, which meant learning as much as I could about the birds of New York. As the year progressed I began to get a sense of how truly immense, varied and beautiful New York is, and I really enjoyed exploring new birding spots. Despite traveling extensively around the state, by year en d I had birded in only slightly more than half of the 62 counties in New York. I’m looking forward to exploring the rest of the state. I also realized that there are a very large number of talented, knowledgable and generous birders in New York and I wanted to meet and learn from as many as I could. What was your biggest surprise in 2012? Getting anywhere near the state Big Year record, let alone exceeding it. What was your biggest dip? The Harris’s Sparrow in Dryden. It turned up last winter in the back yard of one of my old professors from vet school. Lila, Jacob and I were on our way to see it when we skidded off a snowy road in Ithaca and ended up in a ditch. It was a very low speed crash, and we were all fine, but I destroyed a couple of tires and the front bumper, which kind of put a damper on the birding. I couldn’t get back up to see it before it finally took off for good. Did you discover a new favorite birding spot? The Niagara Frontier was amazing. Plus I love saying Niagara Frontier. What tools did you use in the field? Swarovski 10×42 bins and a Swarovski 65mm spotting scope on a Gitzo carbon fiber tripod. Also a Garmin Nuvi GPS unit and an iPhone were nearly as essential as good optics. How many miles on your car and how much cash did your Big Year cost you? Do you have any advice for those who are considering a New York State Big Year? If you have a significant other, it probably helps to get him or her on board early. My wife is not a birder, but she was generally very understanding and supportive. It would have been impossible otherwise. Also, if you have a job you need to have a very flexible work schedule and be able to get by on very little sleep for long stretches. 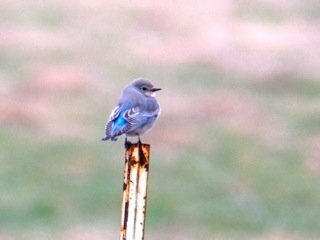 Finally, cultivate your connections to other birders around the state – I couldn’t have done it alone, nor would I want to. Have I forgotten to ask anything important? No, I think that covers it. Although the only thing I would add is that I expect my record to be broken very soon, probably this year, but not by me. Considering my own limited skills and experience, and the reported species that I missed, I think 360 or even 370 is possible by a more skilled and determined (and possibly insane) birder. I’m still birding of course, but it will be some time before I can muster the energy for another Big Year. great post and congrats Rich on your achievement! Word in the local birding community spread quickly about the Grey-hooded Gull being your 300th bird, and the fact that it was still July we knew you would break Scott’s record. love your sense of humor too… that bit about Staten Island is also true for some locales in Queens! This is really terrific, and quite inspiring! I love your statement that Jacob Drucker was your first mentor. Thanks Carena. I still think of Jacob as my birding mentor! The young birders in general, and Jacob, Greg, Benjamin and Lila in particular were essential to my Big Year. Thats one of the things I love about birding – the possibilities for teenagers to teach 50 year olds! Congrats on getting the state record! Nice to hear that you liked the Niagara Frontier so much as I grew up in Niagara Falls. I can just picture you looking for that Franklins Gull in Lewiston.